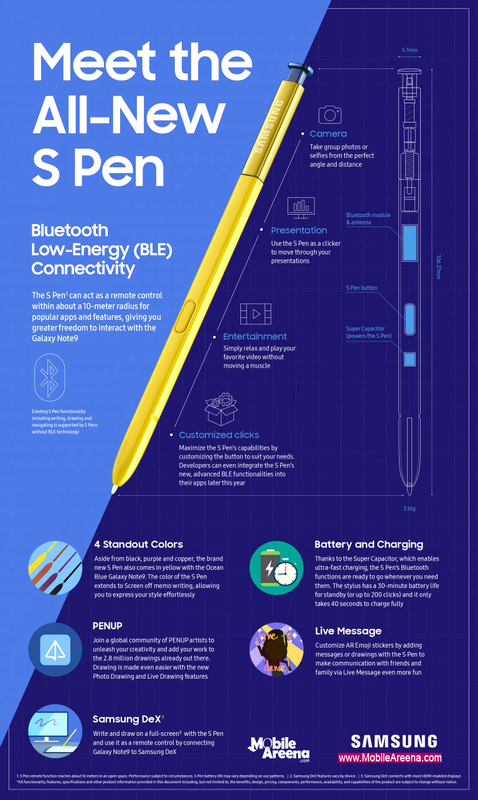 Samsung has posted another infograph that shows the new features of S Pen of Galaxy Note9. Main improvements among other new features of S Pen is that it can be uses Camera shutter button of the new phablet. 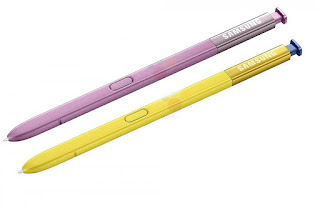 There are four standard colors of S Pen according to the device color. You can use it to control your MS Power Point presentations as well.